Let’s just say that 2014 is the year hotel marketers finally realized that contemporary content marketing is a strategy that makes a ton of sense on many levels. It’s helpful because it provides consumers with an opportunity to have their questions answered on their terms. It’s engaging and so it’s more emotional and therefore more memorable. It’s effective because people are tired of being sold to and they’ve become really good at filtering sales pitches (or worse, you) out. It’s easily shared on social channels to be where your guests are mingling. Additionally, at our recent HSMAI Digital Council fall planning meeting, the topic of content marketing surfaced as one of the most pressing areas to address in 2015, along with the usual suspects – mobile, social, and controlling cost of sales. Gladly, we’re starting to see hospitality follow other industries, embracing the notion that consumers want to be entertained, informed and educated. The end goal is still to grab the guests’ attention and offer valuable information that keeps them close by, so they’ll knock at your door when the time is right to book. It’s not just about the content per se, but about the behavior it drives. Hotels does a terrific job serving up visually appealing content marketing that is useful and consistent across all the channels their customers are using including their website, mobile devices, social channels like Instagram and Pinterest, and, of course, the hundreds of traditional travel channels. Perhaps you don’t have the space or the resources to pull off an “Instagram-able” moment (below) like the Cosmopolitan Hotel does in Las Vegas, but there are lots of other things you can do, that are in line with your DNA, or true to your hotel’s personality, whether you’re a resort on a beach in Mexico or an airport hotel in New Jersey. Christine says “Create a doggie bone station at check-in with a chalkboard welcoming your guests and their pets by name. Who’s not going to take a selfie with their puppy and share with friends and family? Have an autumn colors contest and feature the best photos on your Facebook page.” The story doesn’t necessarily have to be baked into your property itself; solicit ideas from your employees – there’s lots of creativity floating around to create a story that’s unique to your hotel. During the same web event goes on to tell us why “Content is King” and explains that today we are all publishers; it’s not just the New York Times. There’s a lot of clutter out there and content drives the decision that helps people cut through the noise. 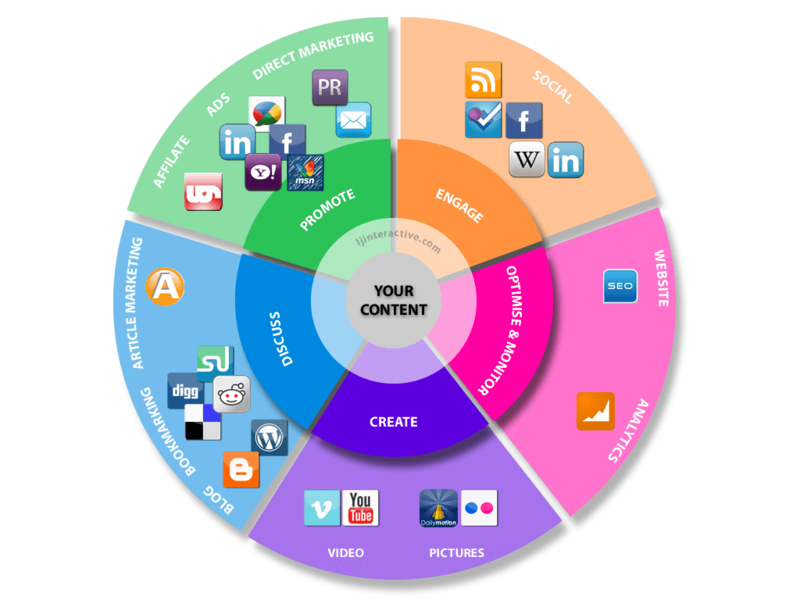 Good content marketing will create harmony with your audience in 2015, a directionally positive thing for the industry. We’ve also got our eye on a number of other major trends that will motivate hoteliers to tell a better hotel story and brag about their property on whatever channels or devices travelers are using. In 2015, join the ranks of forward-thinking companies small and large, urban and rural, with internet marketing that is straightforward, inspirational and worthwhile. After all, what do many of us chit chat about when we’re at a party, having dinner with family or just plain dreaming – travel; and on vacation, where we lay our head each night or play with our kids in the pool counts. Your property will be rewarded with more and loyal business because you’ve taken the time and effort to interact with your guests in a way that shows you know what’s important to them and that it matters to you.